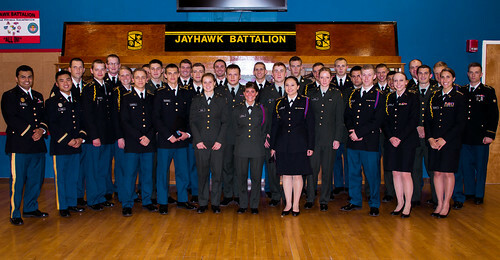 ROTC at the University of Kansas enjoys an old and proud heritage. The KU Army ROTC program is one of the top ROTC programs in the country and we have the luxury of having all the military services represented here at KU. Army ROTC is the senior program, having been established in 1918 in the wake of World War I. Since then, over 2,000 second lieutenants have been commissioned through KU’s Army ROTC program.